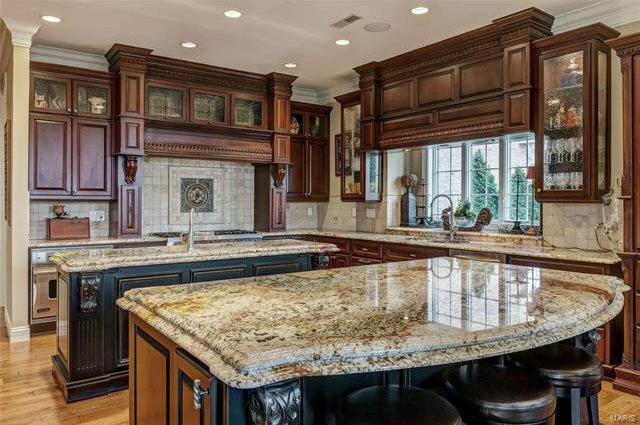 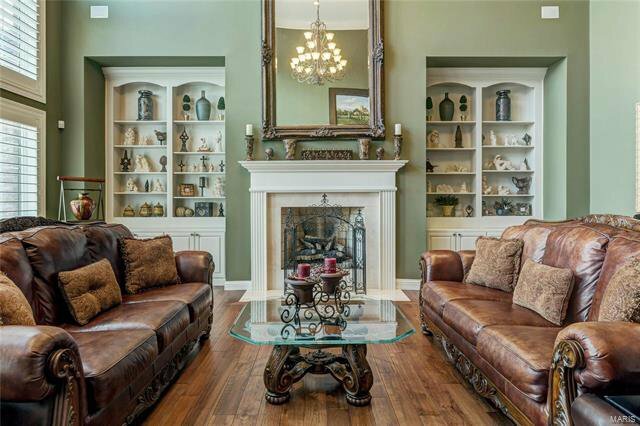 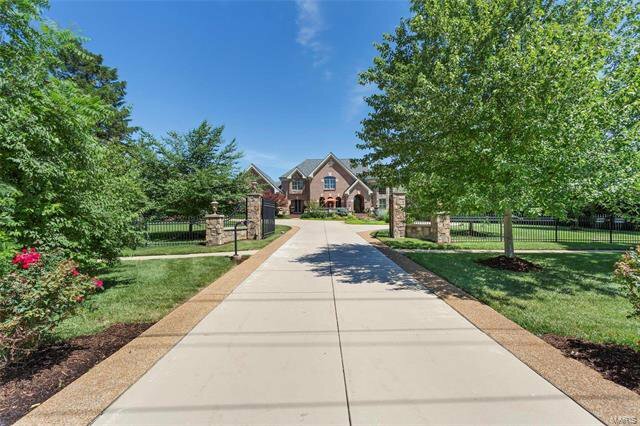 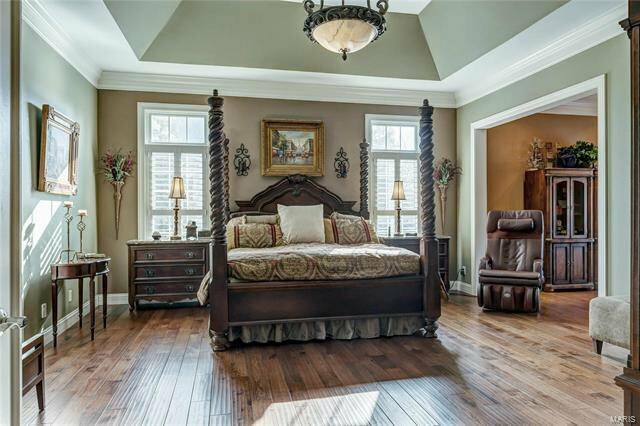 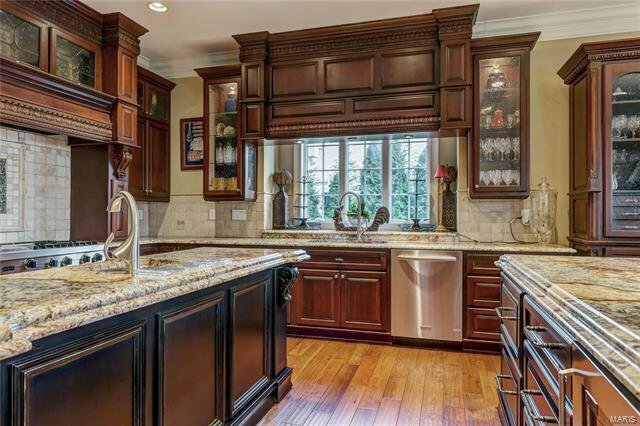 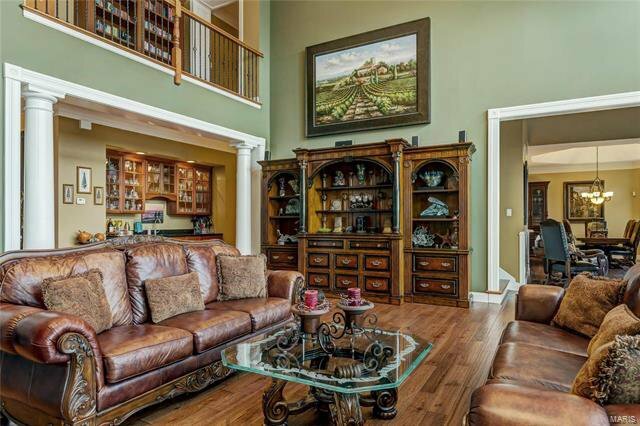 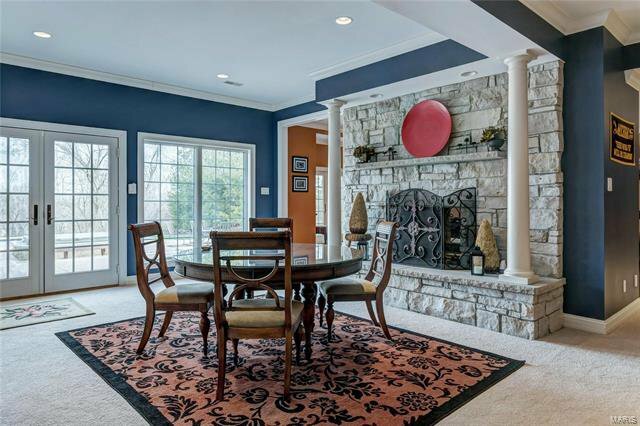 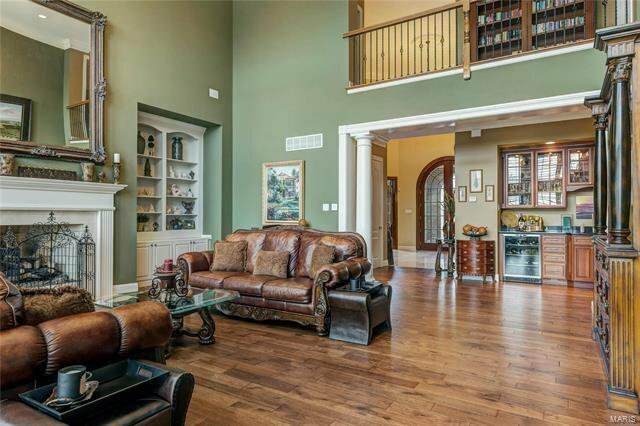 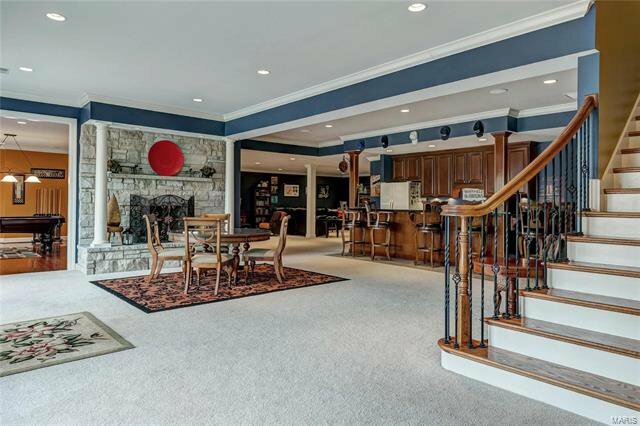 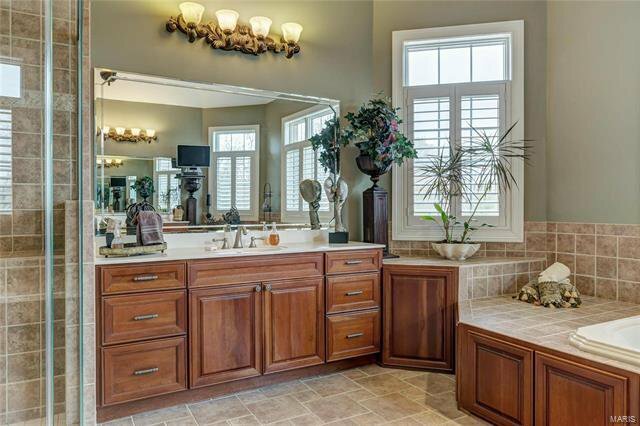 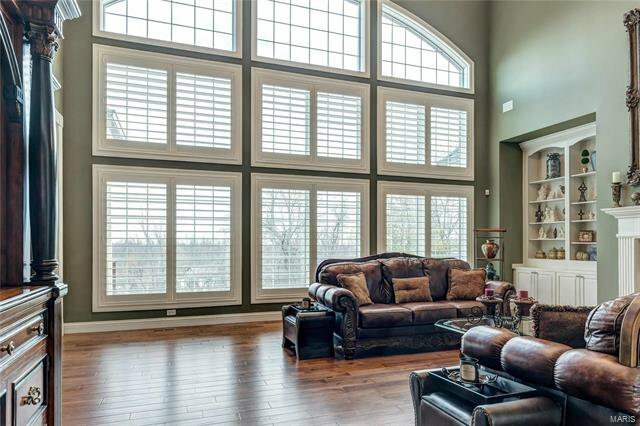 Magnificent 1.5-sty English Country Estate home w/ over 8100 sf of living space! 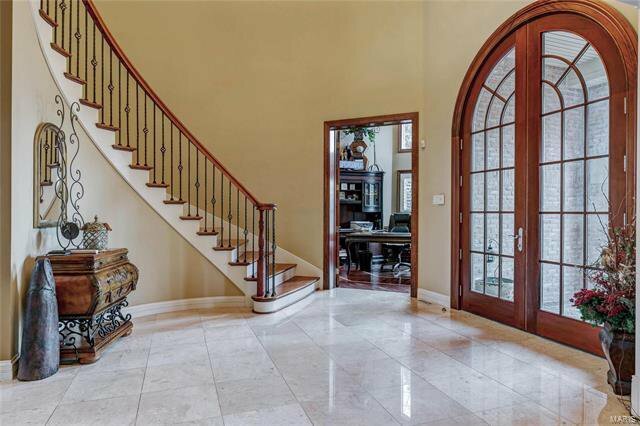 Grand 2-sty marble foyer highlighted by dramatic sweeping staircase leads to private study w/ vaulted HEX ceiling, elegant dining room & spectacular great room w/ architectural columns, marble fireplace & wet bar. 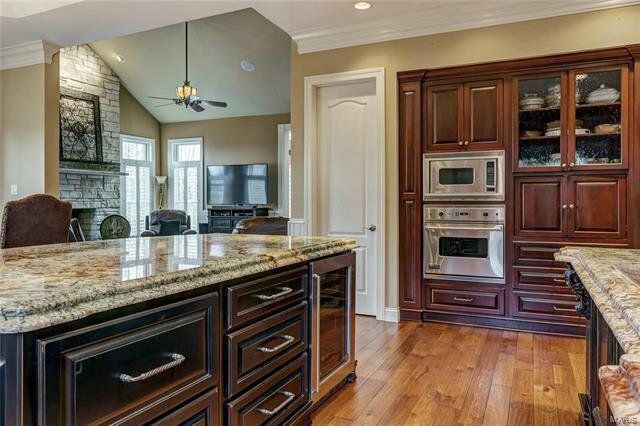 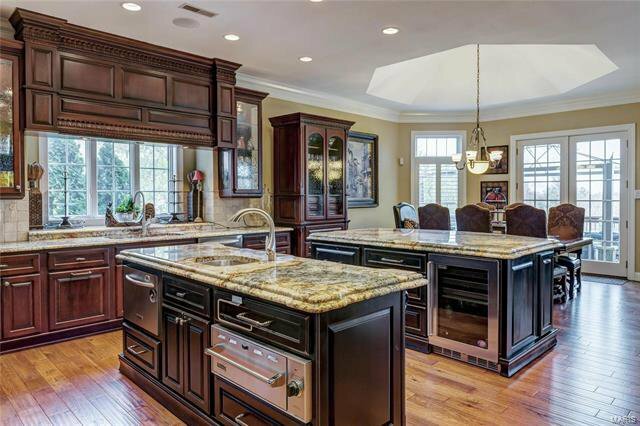 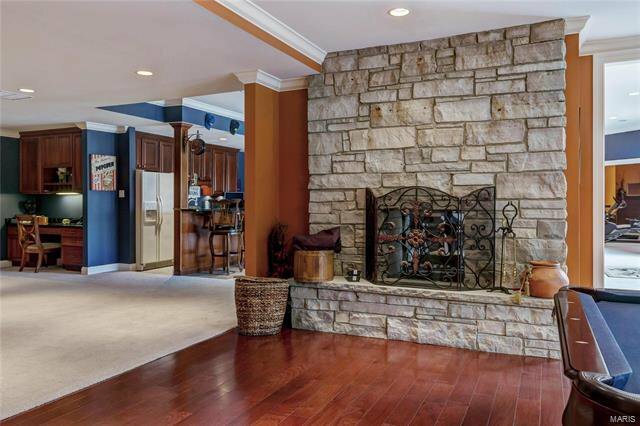 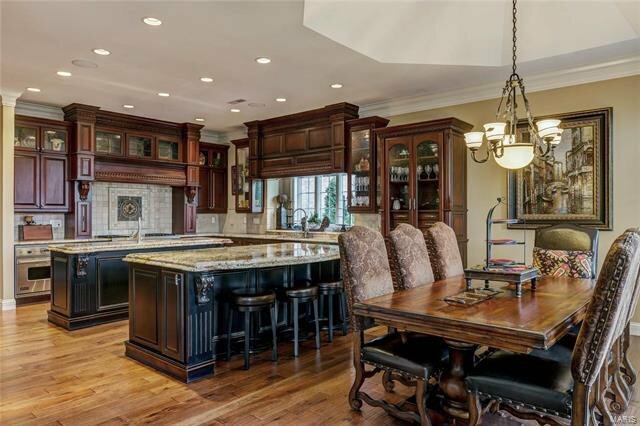 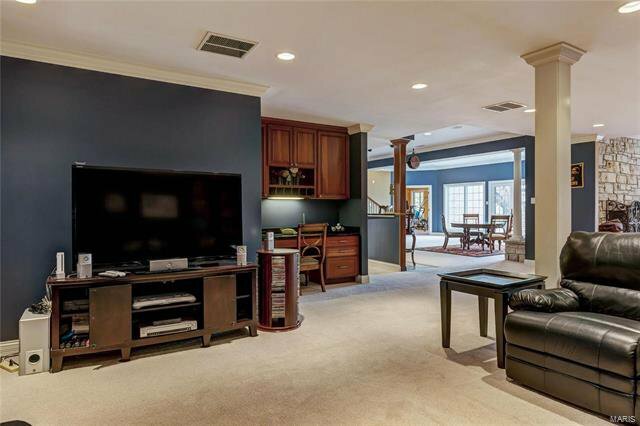 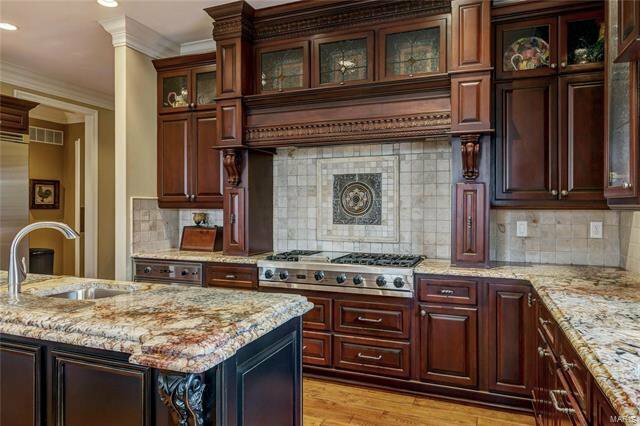 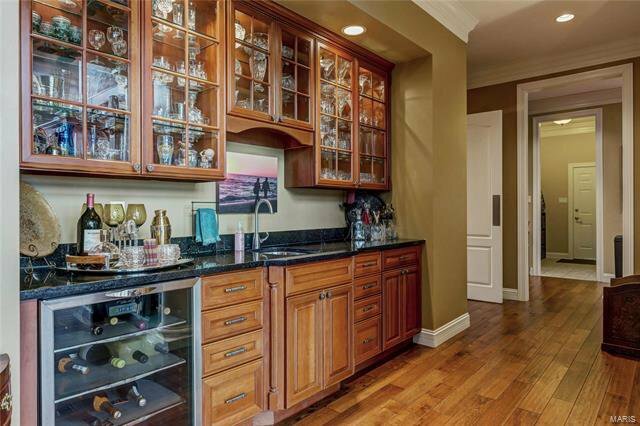 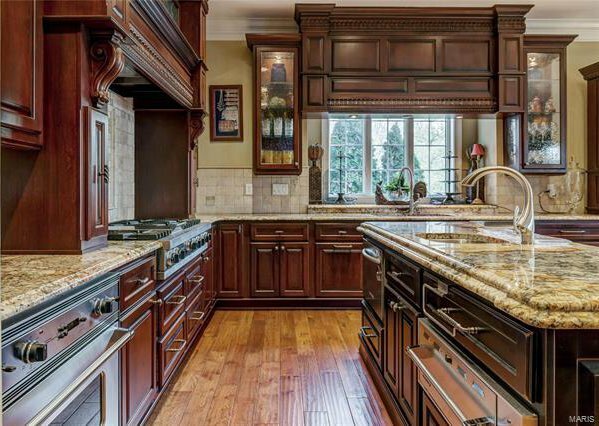 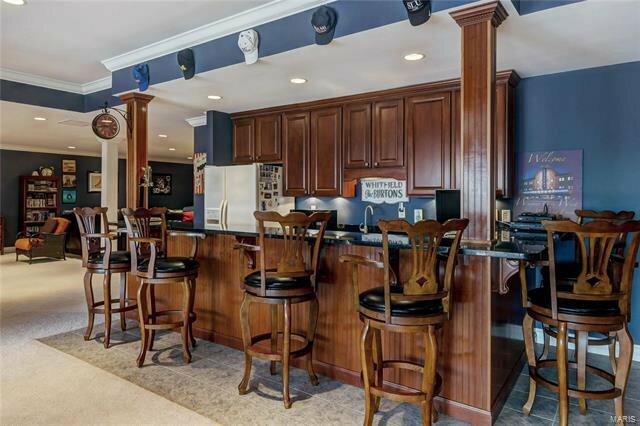 Exceptionally large kitchen with cherry cabinetry, commercial grade appliances, double ogee-edged granite center islands & planning center adjoins light-filled breakfast room & vaulted hearth room with floor-to-ceiling stone fireplace. 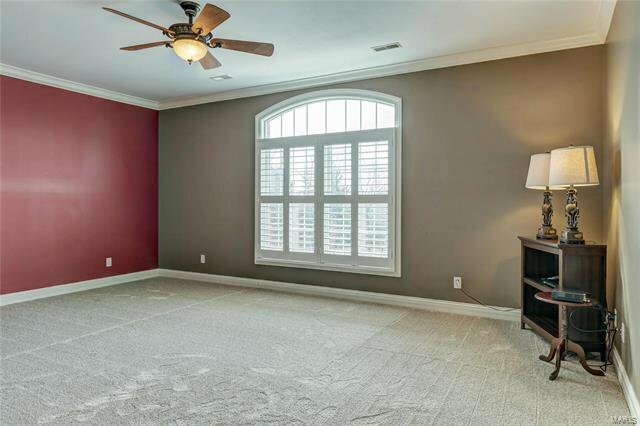 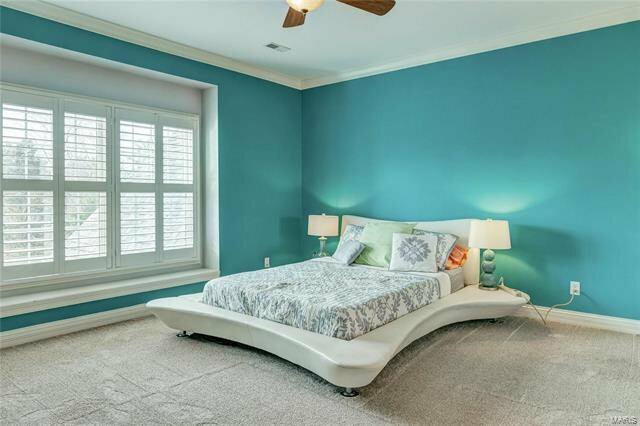 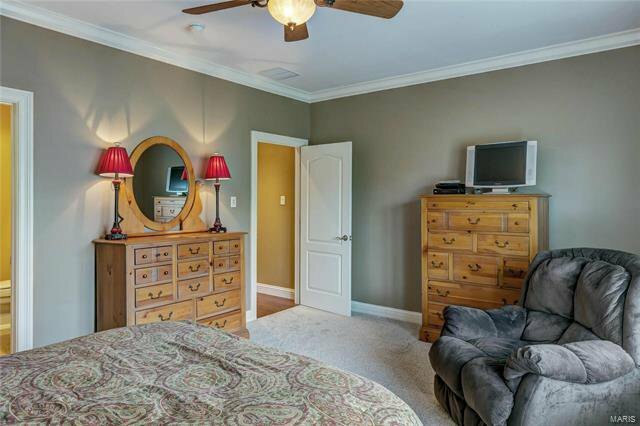 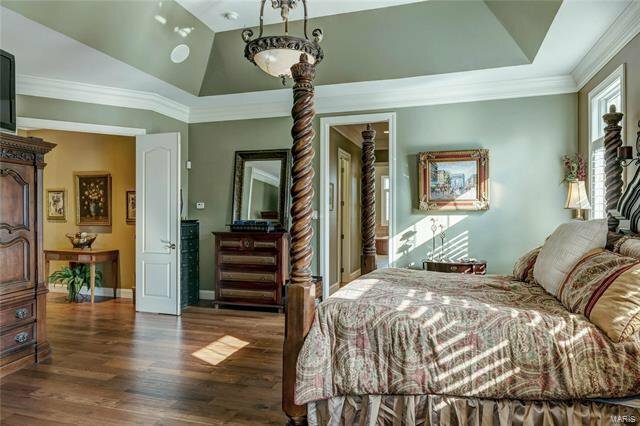 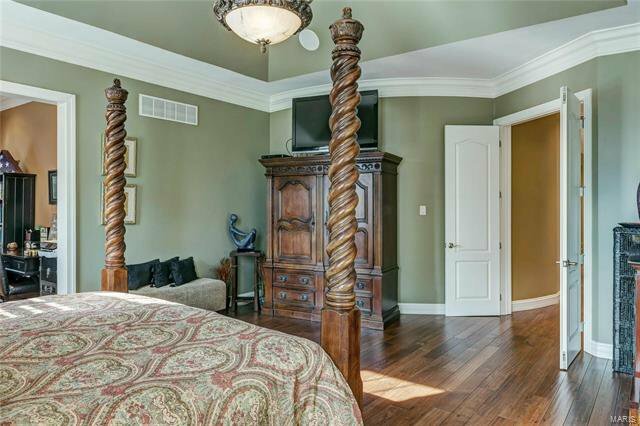 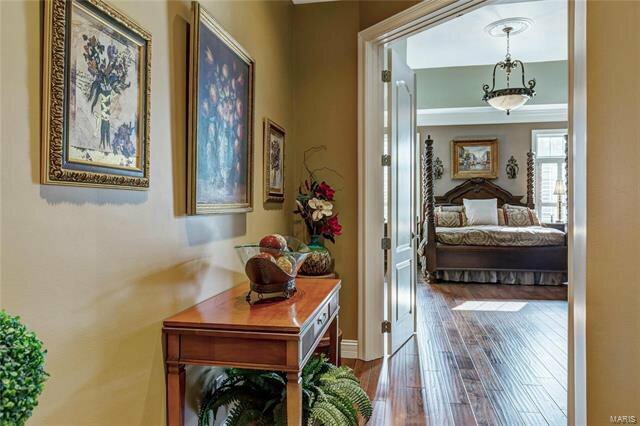 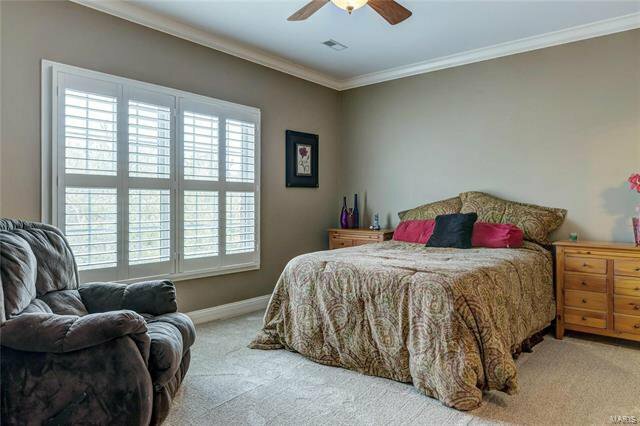 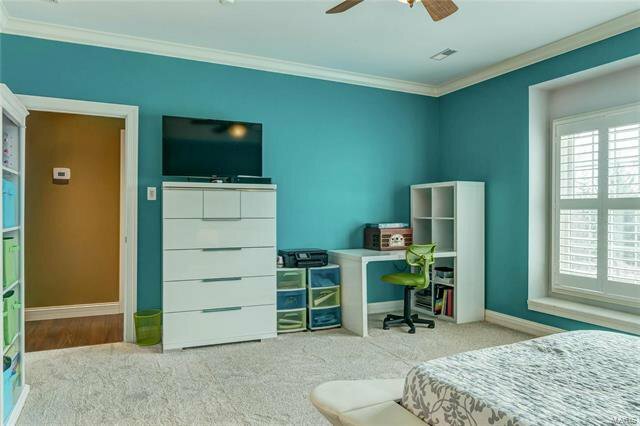 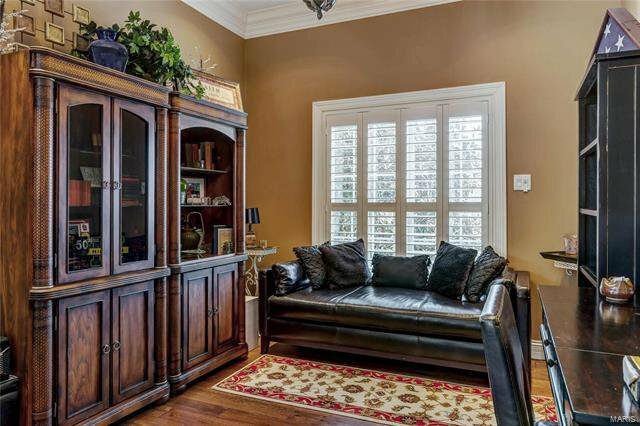 Coffered master bedroom suite w/ sitting room & lavish bath with shower spa & Jacuzzi offers an appealing retreat. 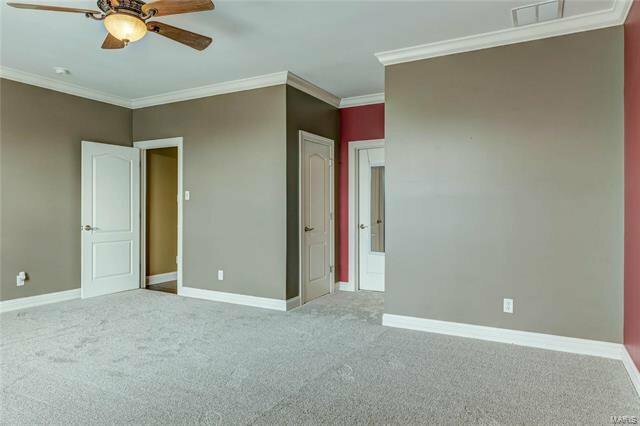 Front & rear staircases access 3 additional bedrooms suites & convenient upstairs laundry. 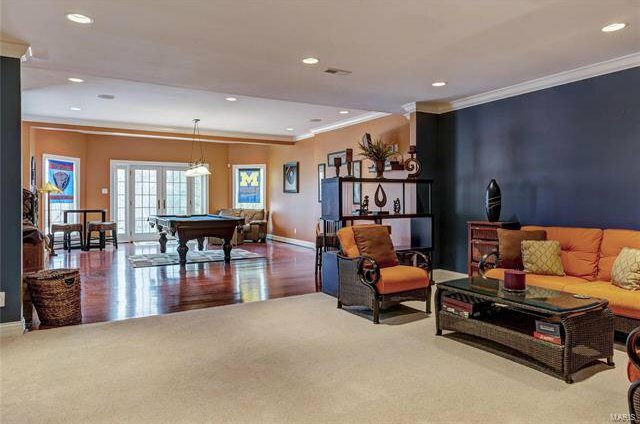 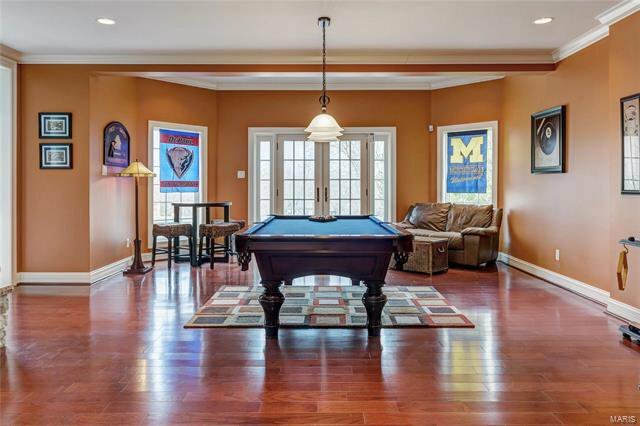 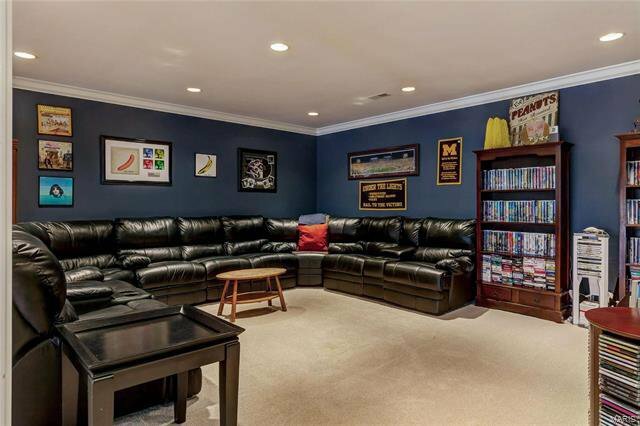 Lwr Lev entertainment space includes recreation room w/ fireplace & 18’ wet bar, family room, game room & guest suite. 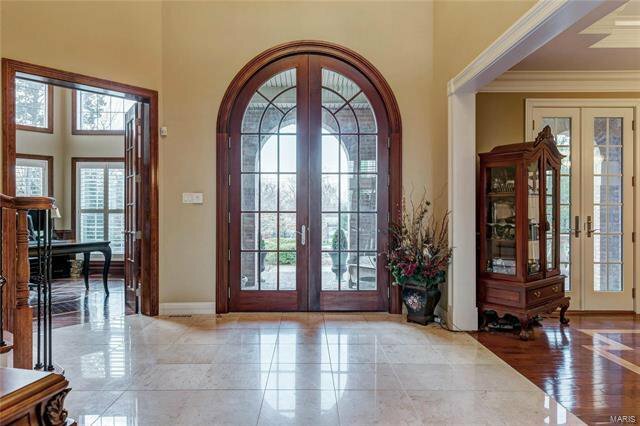 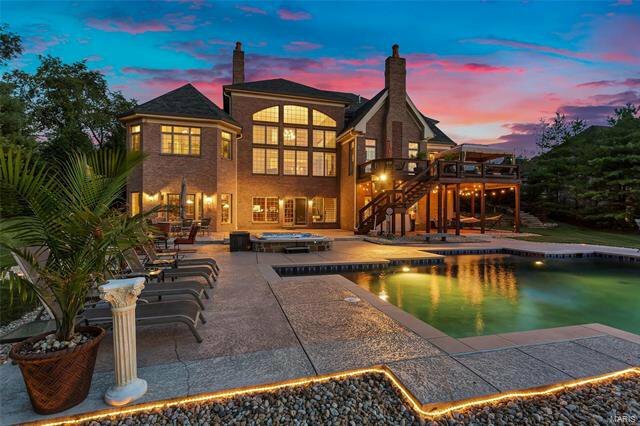 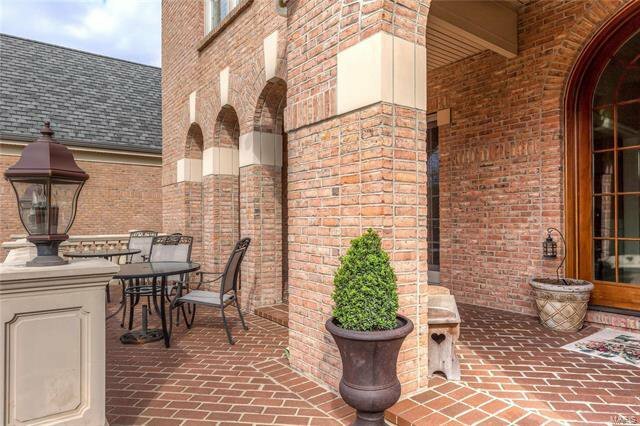 French doors open to outdoor living area w/ resort style pool & hot tub. 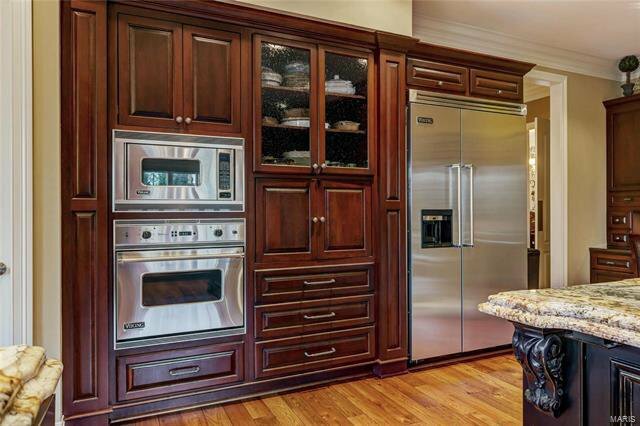 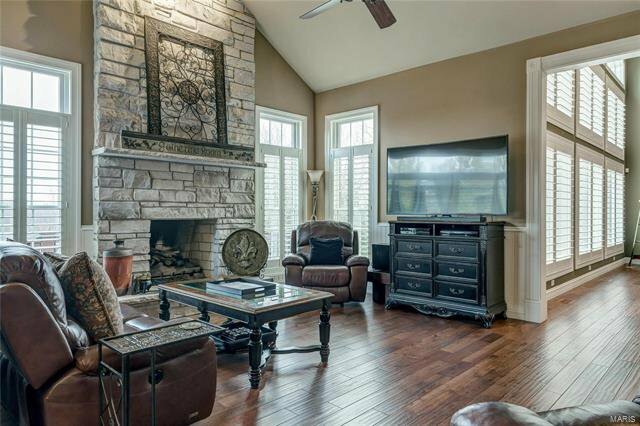 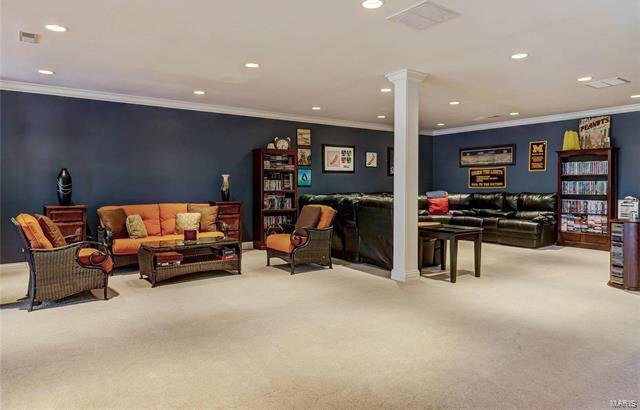 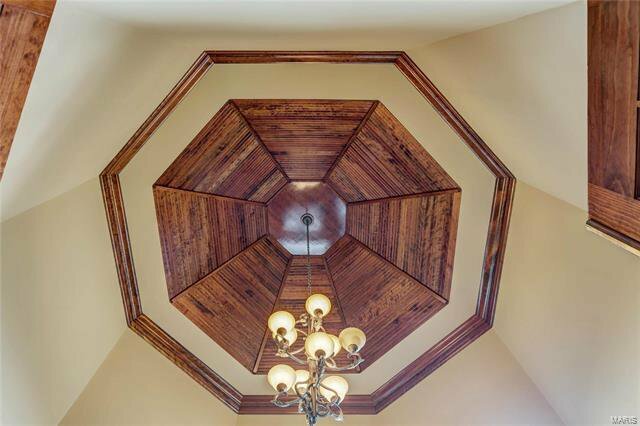 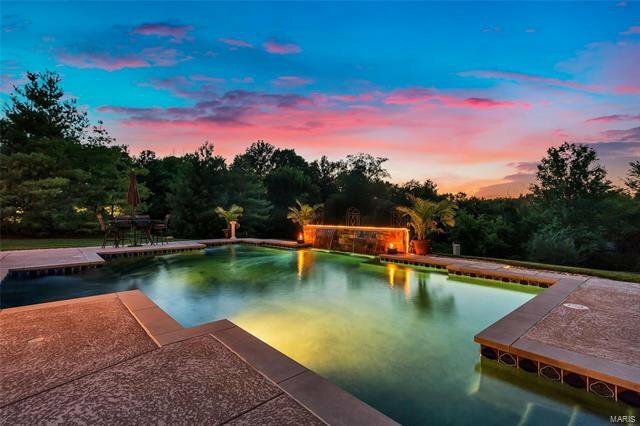 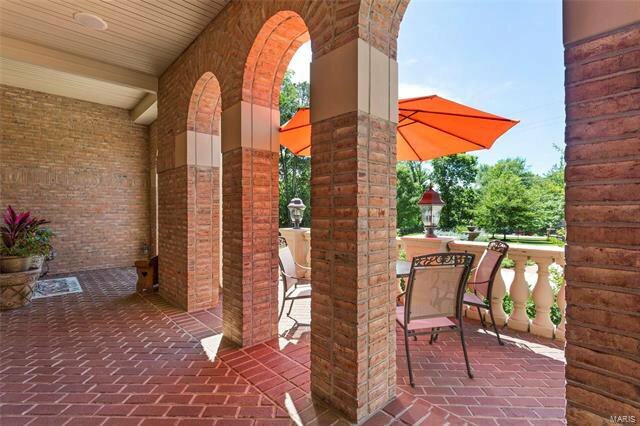 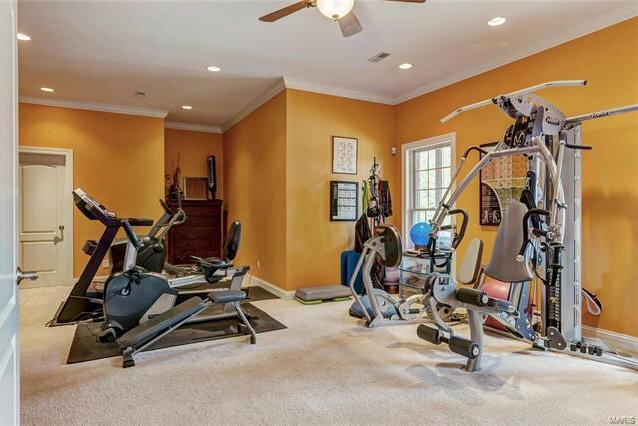 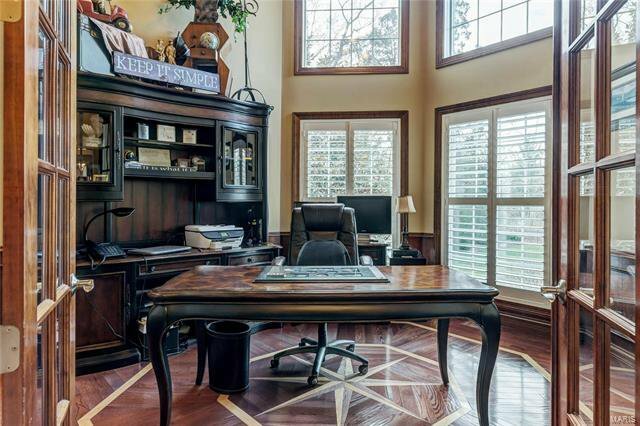 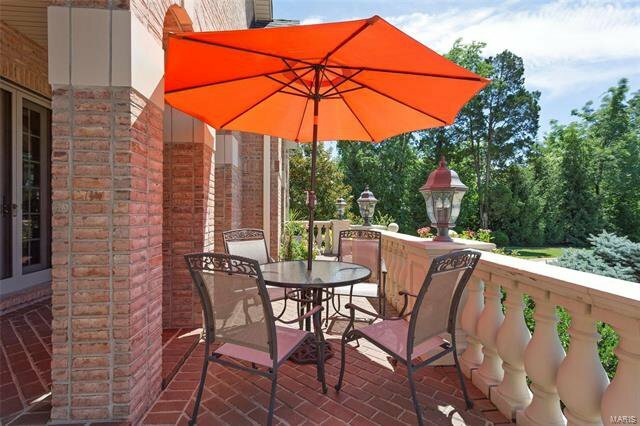 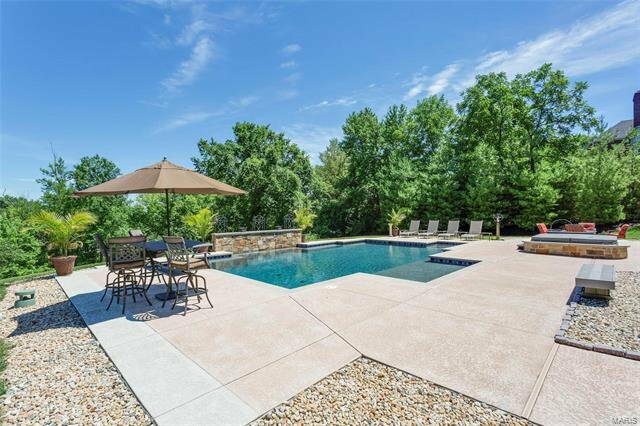 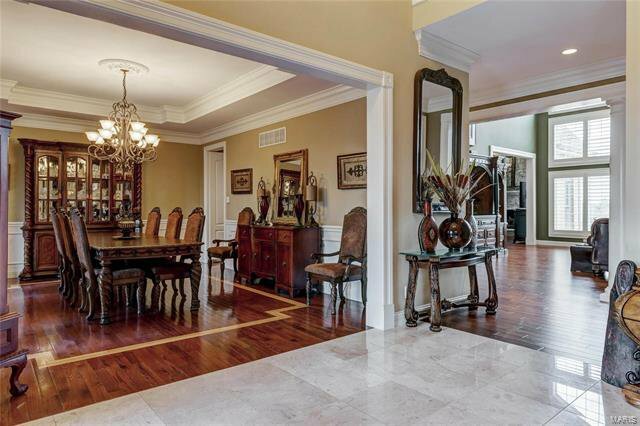 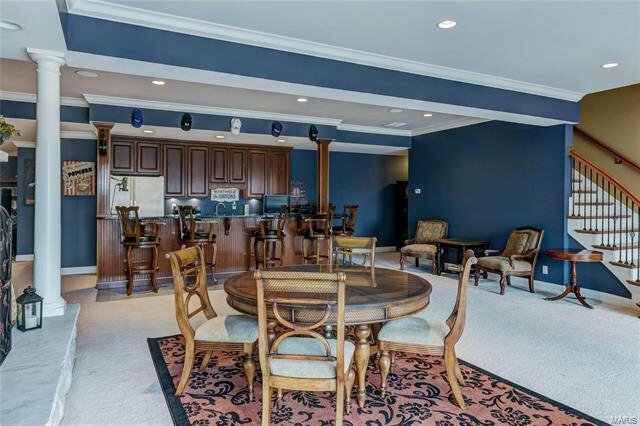 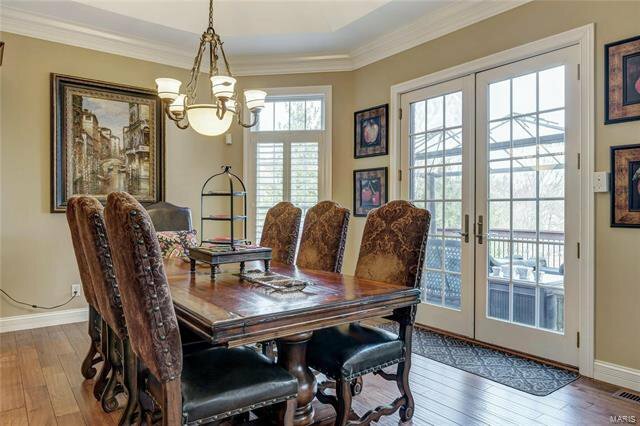 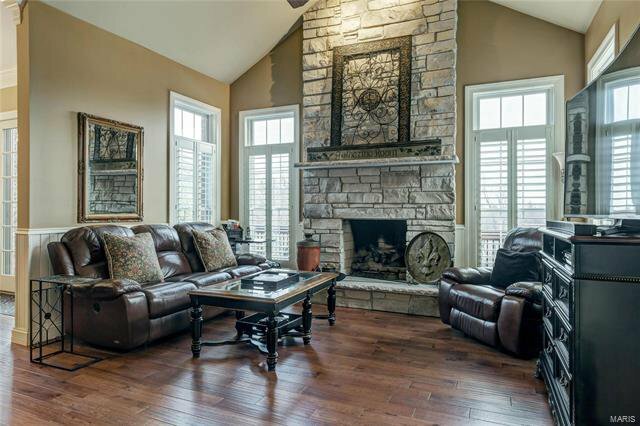 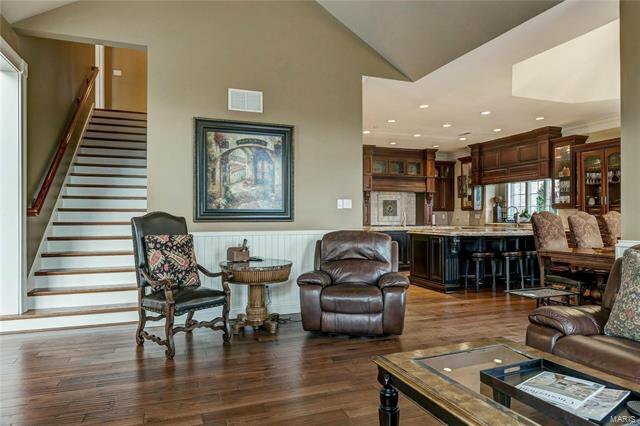 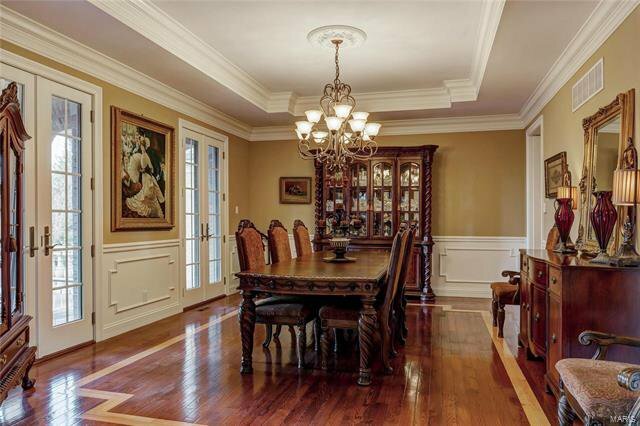 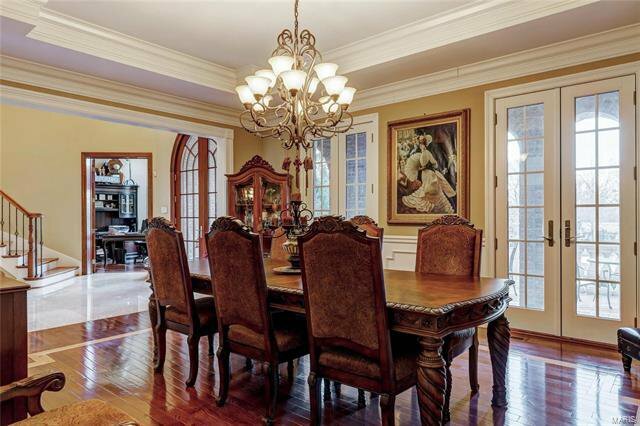 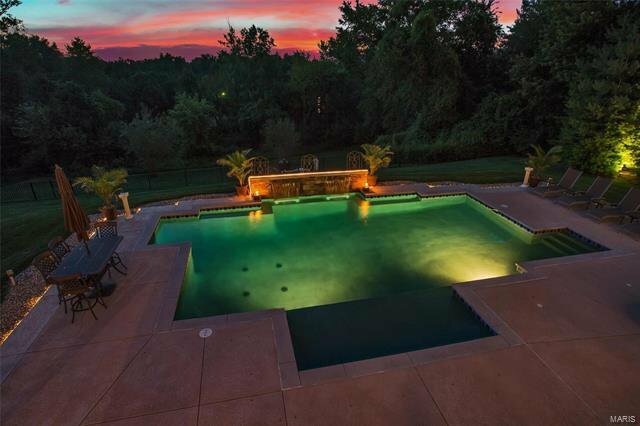 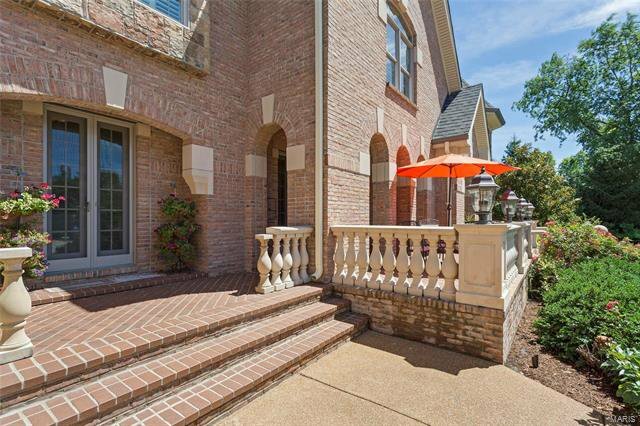 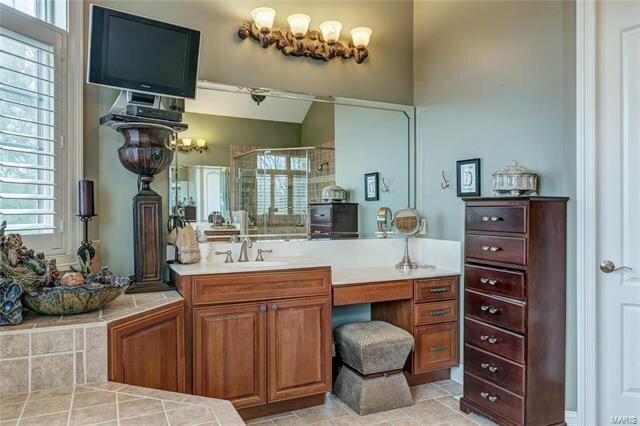 Situated on 1.34 acre grounds w/ gated entrance & 4-car garage.